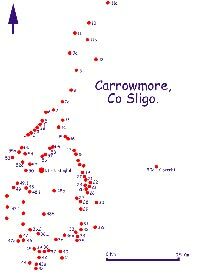 Sites 54 and 52 at Carrowmore, both missing their stone circles. 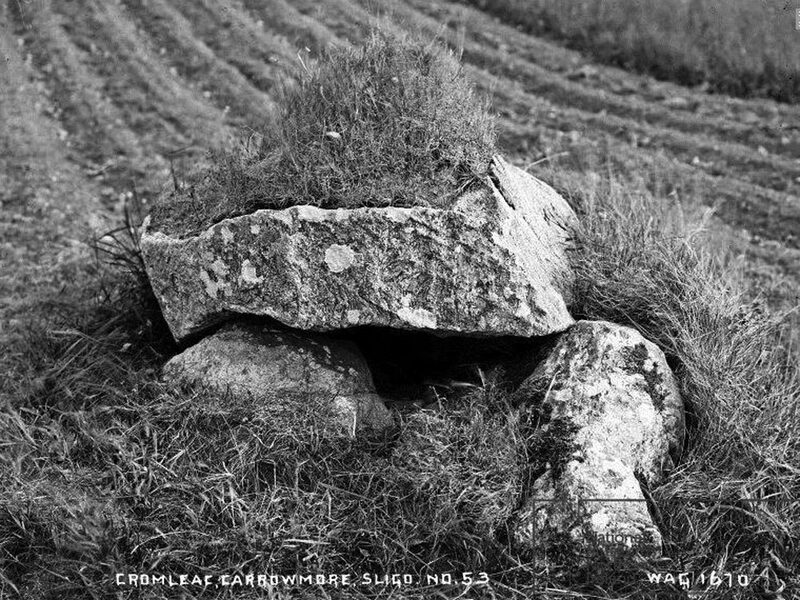 Site 54 around 1910 from the Welsh collection. Situated at the angle of the field, N.E. 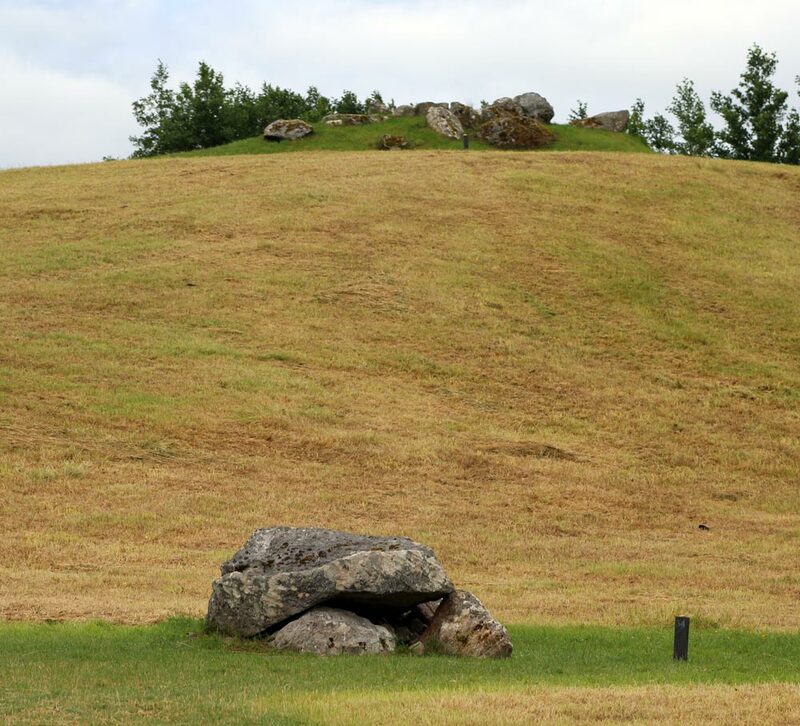 of the cairn called Listoghil, and to the E. of LXV (dolmen-circle). "Of this circle, also, only a few stones are left, the rest having been carried away to clear the ground; but the cromleac is untouched, though covered with stones collected off the land." - Petrie. 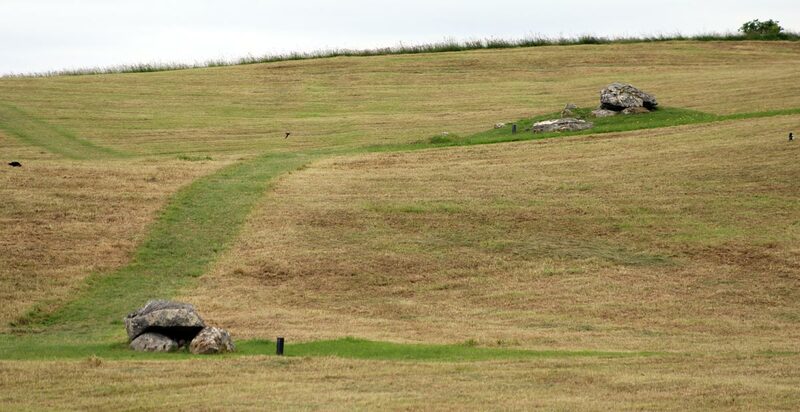 The small dolmen at Site 54 looking to the recently discovered Site 55. "Three small fragments of uncalcined bones, pieces of oyster-shell, and a flint flake, represented all that was discovered here." - Wood-Martin. ''The few stones yet remaining of those which formed this monument may now be seen in the fences around a neighbouring cottage." - Wood Martin. Circle 54 from Rude Stone Monuments, illustrated by George Elcock.